Update: Bookings for this course have now closed. Click here to find any Intro to Permaculture courses we have scheduled. Join Nick Ritar with special guest David Holmgren, for 2 days of permaculture design theory and action. You will leave this course with a solid grounding of how you can apply permaculture principles in your home, garden, apartment or farm. 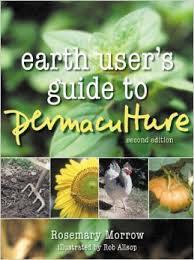 You’ll also be in an informed position to further your journey into permaculture design. No chemicals and no excuses. Just good, thoughtful, innovative and effective design for the needs of our species. This intensive weekend course covers the basics of designing resilient systems with permaculture principles; energy cycling, nutrient cycling, animal systems, veggie growing systems, and how to retrofit your existing habitat to become a haven of organic food and low-energy living. 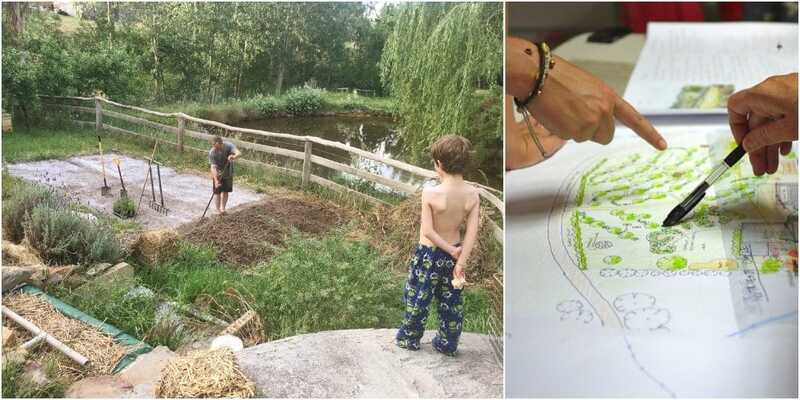 We use examples of existing permaculture systems, projects and designs, both urban and rural, to show you how you can use permaculture design to create positive change. This course arms you with practical strategies to better care and provide for yourself, your family and the planet. We’ll even take you on a farm tour of Melliodora Permaculture Farm, bursting with examples of suburban permaculture in action. 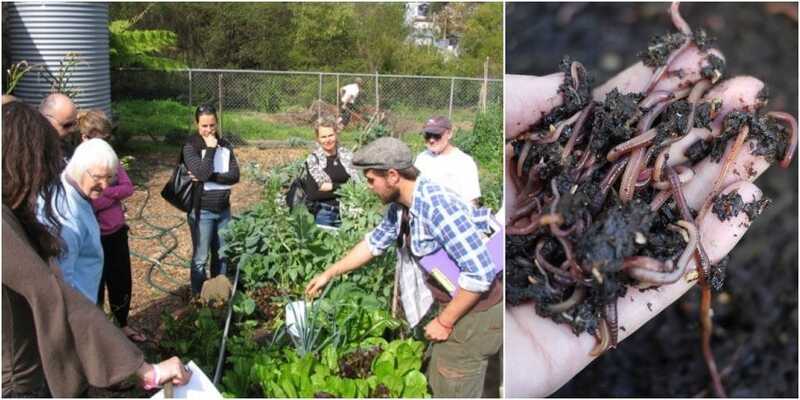 Permaculture futures – where some of our students end up! Nick Ritar is a permaculture designer, consultant and educator who works extensively across a wide range of bioregions, farms, watersheds and city environments. 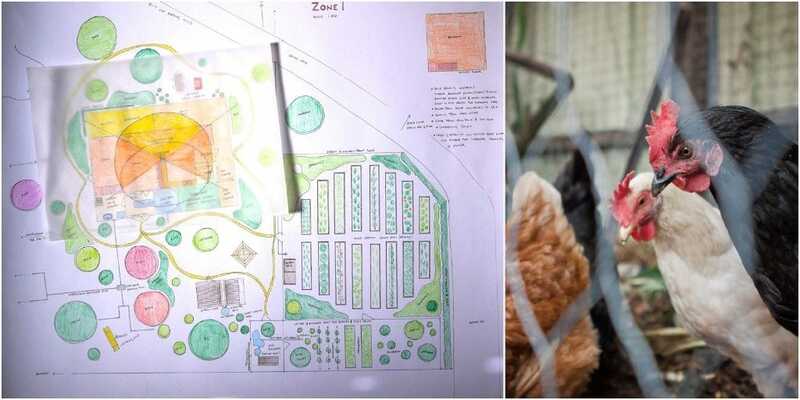 He is recognized nationally as a leading advocate on how permaculture principles can contribute to food security through good design and regenerative farming and living. 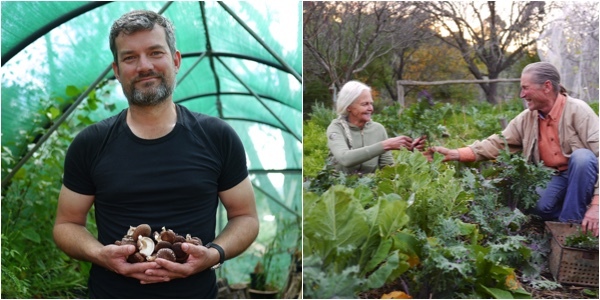 Nick divides his time between extensive permaculture teaching, permaculture consultancy and growing backyard mushrooms. More about Nick. David Holmgren is an ecologist, ecological design engineer and writer. He is perhaps most well known as co-originator of the permaculture concept with Bill Mollison. Through the spread of permaculture around the world, his environmental principles have exerted a global influence. He is the author of several significant permaculture texts, the best known being Permaculture: principles and pathways beyond sustainability. David lives at Melliodora in Hepburn, Victoria, with his partner Su Dennett. Together they run Holmgren Design. The classic text Earth User’s Guide to Permaculture by Rosemary Morrow (RRP $30) is included in your course fee, to help get you started and keep you inspired when implementing what you learn at this course into your own habitat. We’ll also keep you well fed with complimentary drinks, fruit and a locally sourced ploughman’s lunch each day. PDC discount: All our Intro to Permaculture grads are entitled to a 15% discount on our Permaculture Design Certificate course. That’s over $300 off. 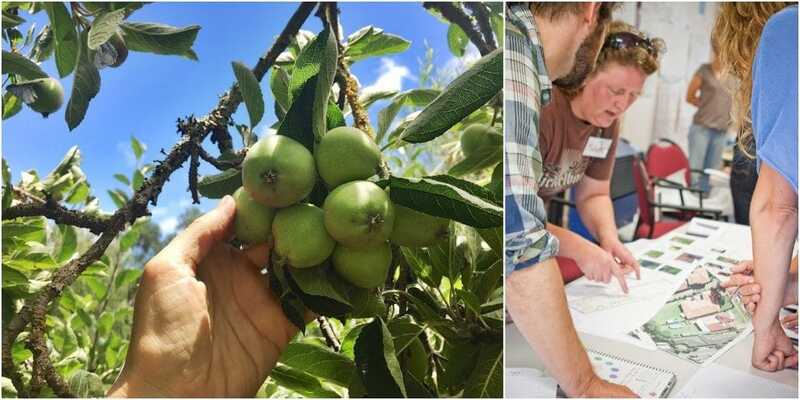 The classroom portions of this course will be held at Hepburn Primary School, and we’ll walk down the street together to Melliodora permaculture farm to see, understand and taste permaculture principles in action.